I finished quilting a commission today and will be binding it this week, so I don’t have a ton of photos of work. It’s also already been an emotionally exhausting week and it’s what? Tuesday? Ugh. 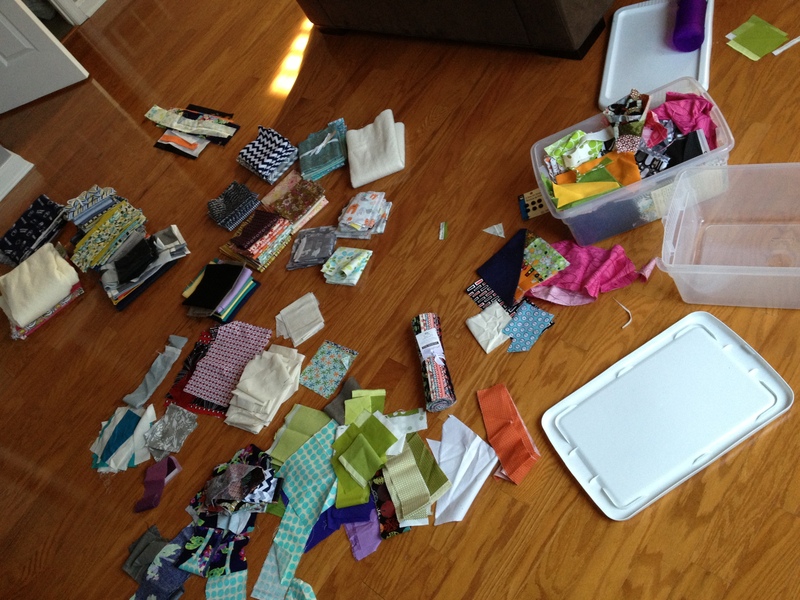 On Sunday, though, I organized my fabric. 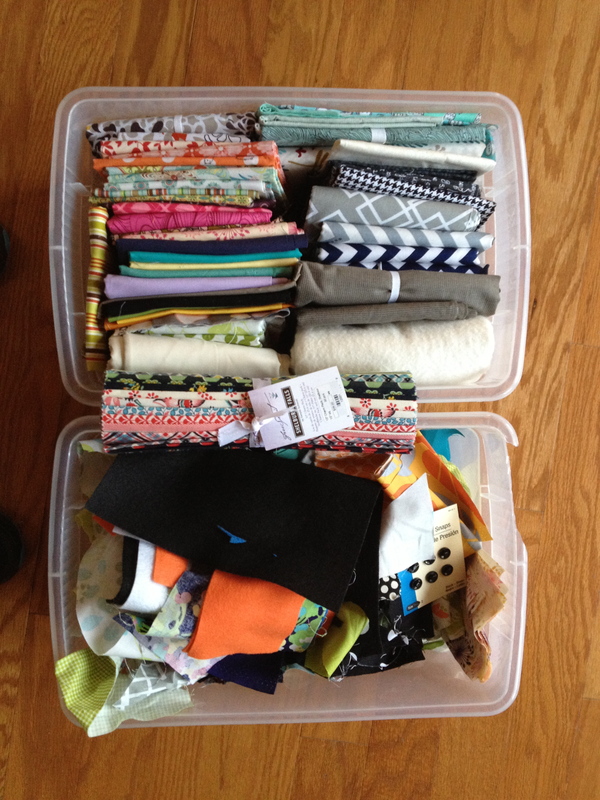 I don’t have a lot– I keep one medium-sized plastic tub for current projects, one for scraps and one for spare fabric. Also, there are just a few spots left in my Beginning Quilting class at Rock Paper Scissors! Four Mondays of quilty fun start on April 29, so call the store if you’re interested in joining. After binding my commission I’ll be having fun with some straight-line quilting. Stay tuned.